The reality of last year’s general election is that Labour’s failure to secure a victory in an England, suffering at the hands of UKIP, ultimately resulted in our defeat. As a parliamentary candidate in Rochester and Strood, for both the general election and by-election, caused by the defection of Mark Reckless to UKIP, I am all too aware of the public mood, that considered us out of touch with their lives and values. Both elections also revealed fascinating notions of nationalism, belonging and identity politics that as a party we must address, if we are to win again. Emily Thornberry’s infamous tweet during the Rochester and Strood by-election is perhaps the most pertinent example of the disconnect between the public psyche and the party. The accepted interpretation of the tweet is that Emily, and ultimately Labour, saw displays of national pride and patriotism as symbolic of xenophobic sentiments, and an assumed support for UKIP; as well as an underlying snobbery towards working class cultures. While concepts of patriotism do not always sit naturally with our social democratic or socialist principles, the reality is that to a number of potential and existing Labour voters they are of utmost importance. An aversion to the institutions and traditions people hold dear has helped to create a perception that the Labour party is anti-English and does not share the values of the nation. This perception, while unfair, must be challenged if Labour is to win back hearts and minds. In towns such as Rochester and Strood, in the heart of Medway, it is of the utmost importance. Medway is home to communities that are still recovering from having their industrial heart ripped out, following the closure of the naval dockyard in the 1980s, a move that left generations feeling a sense of abandonment by successive governments and the areas that during both elections were more inclined to lend their support to UKIP. Predictably concerns about migration dominated parts of the debate in Medway. As a British Asian I have always felt a sense of belonging and pride towards my birthplace but the migration debate has, at times uncomfortably, challenged this feeling and what it truly means to be British or even “English.” During the by-election my family background was explored and scrutinised in detail, I found myself having to prove that integration can work, using my own experience as an example. Largely, however, people’s concerns are steeped in a sense that the world around them has changed rapidly becoming unrecognisable both structurally and visually, and has left them questioning their own identity. Historically residents in Medway, like other industrial towns across the country, were part of close-knit communities, often working together and socialising in the same local pub. This way of living has significantly changed over the years as globalisation and a declining industrial economy has transformed our family and working lives. It is a change that has left some feeling unsettled and a change that Labour has failed to address or at times even acknowledge. It is this transformation that has been one of the greatest factors in not only lending support in Rochester and Strood to UKIP but in pushing notions of nationalism across the country. In Rochester and Strood, despite previously holding the seat, Labour have been pushed into third place. And we must recognise that to win again in places like this we must reconnect with public and is to ultimately address the perception that we are not a party for England or a party that understand the English psyche. This does not compel us to abandon our broader social democratic principles but it does expect us to have a sense of pride in our national identity and the ability to relate to people’s lives. We need an honest appraisal of our strategy at the last election, with recognition that we lost votes not only to the Tories but also to UKIP as well as clear approach to migration concerns. This does not mean that Labour must move away from its values or adopt UKIP policies in managing migration, globalisation and free movement across the EU, but we must not be afraid to lead the discussion. It is right that we challenge the myths that often surround the debate and refrain from scapegoating, but we must also understand people’s concerns as they see their communities change around them. Additionally, while the issue of a Labour English identity makes for difficult consideration, it is essential that we look carefully at our party structures, how devolution can help Labour shape the debate and how we address our ‘Englishness problem’. Labour faces a number of challenges going into the next general election. Not only will we have to contend with boundary changes, having to win an additional 106 seats in 2020 to secure a majority, but also contend with a strong SNP in Scotland. This makes ever important the need to understand the English psyche, and question the perception of Labour values and our self-imposed prejudices that social democratic principles cannot sit alongside notions of patriotism and identity politics. The challenge is a serious one and one that the Party cannot afford to take lightly. 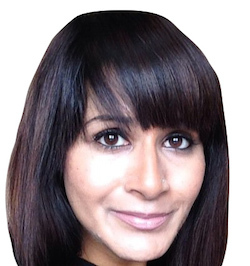 Naushabah Khan is a former Labour candidate for Rochester and Strood.